Erin Hart is a theater critic and former administrator at the Minnesota State Arts Board. A lifelong interest in Irish traditional music led her to cofound Minnesota’s Irish Music and Dance Association. She and her husband, musician Paddy O’Brien, live in St. Paul, Minnesota, and frequently visit Ireland. 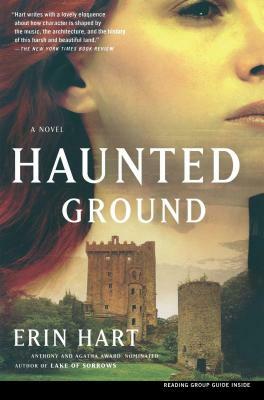 Erin Hart was nominated for the Agatha and Anthony Awards for her debut novel, Haunted Ground, and won the Friends of American Writers Award in 2004. Visit her website at ErinHart.com. "Spooky and compelling...does for Galway what Sharyn McCrumb does for Appalachia." "Out of the Irish mist and into the ancient bogs, Erin Hart spins a dark tale of gothic suspense fused with modern forensics. This bright new talent lays bare all the buried bones in a murderous tale of intrigue and betrayal." "In Haunted Ground, the past is not buried underground, it lives and breathes. Erin Hart's beguiling debut novel probes the mysterious connections between the dead and living in a moody Irish song of innocent blood, shattered hearts, and life's unquenchable flow." "Hart writes with a lovely eloquence about how character is shaped by the music, the architecture, and the history of this harsh and beautiful land."